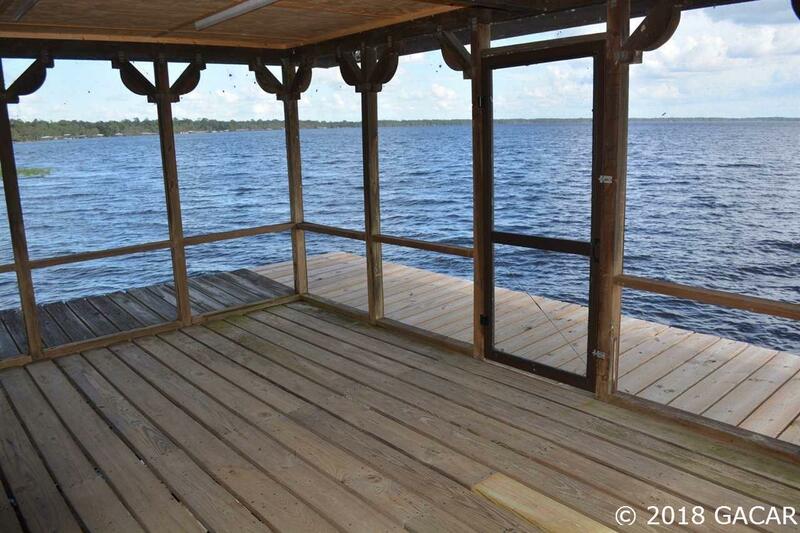 NOW REDUCED!A 3/2 Lake Home on Big Santa Fe Lake Near Historic Melrose Florida. A Mike Adams Custom Built Home designed to enjoy the best of the Lake Life for many years to come. Located in North Central Florida near Historic Melrose on 6000 Acre Santa Fe Lake at one of best locations on "The Lake! Santa Fe is a fully recreational lake. Much detail was given to this quality built home. 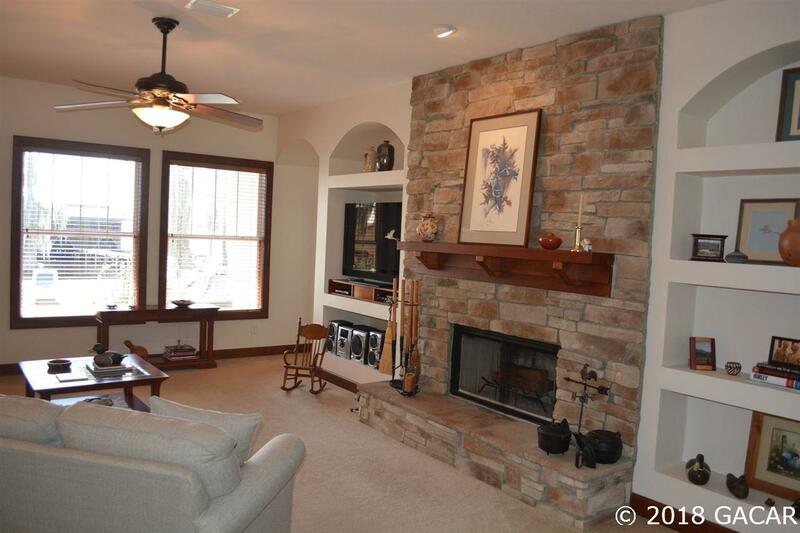 Features: stone & hardi-board siding, new roof in 2017, breezy screened-in lake side porch, open floor plan w/wood burning stone faced fireplace w/a custom built cherry mantle, quality wooden blinds. 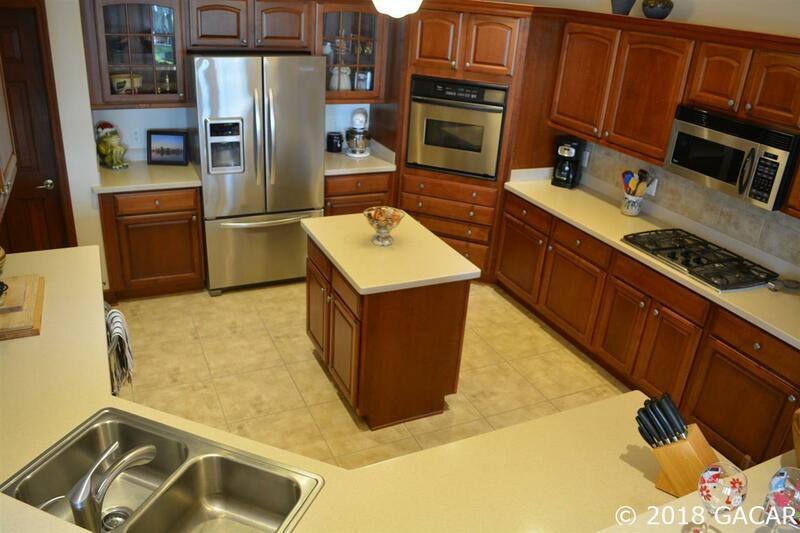 Bedrooms have walk-in closets, convenient walk-in pantry in the spacious kitchen w/eat in bar. Features: Corean counters, detailed woodwork, Kitchen Aide appliances, built in wall shelving & cabinetry storage throughout. Oversized 2 car garage has a 3rd door w/extra room for cart, mower, equipment & workshop area. . 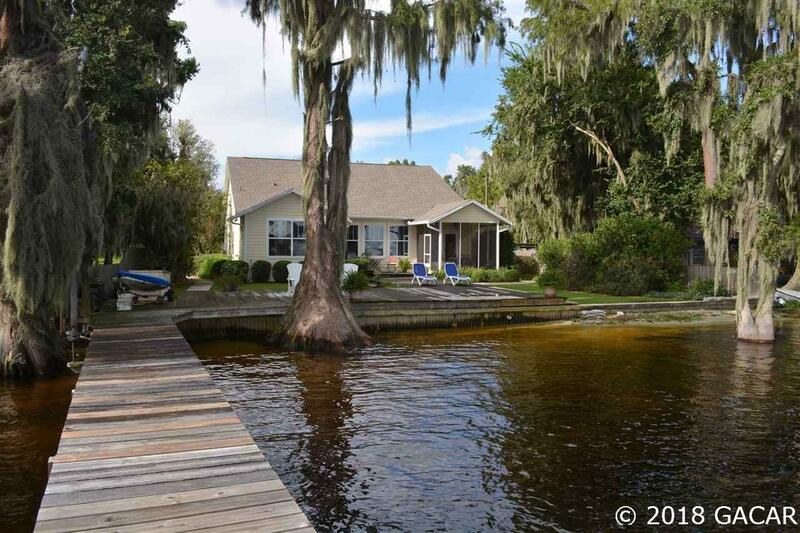 Easily maintained landscaping: nice lawn, shrubs, seasonal herb garden, wooden privacy fencing & lake water for irrigation, shoreline bulkhead, large lakeside deck connecting directly to dock to an enclosed boat house w/2 boat lifts, storage rooms for lake toys, screened-in dock porch w/even more open dock area. May include some furniture.